Papo Manatee 56043 - Toys & Learning - Papo Specialists - 100% - Fast Service - Sale Prices. 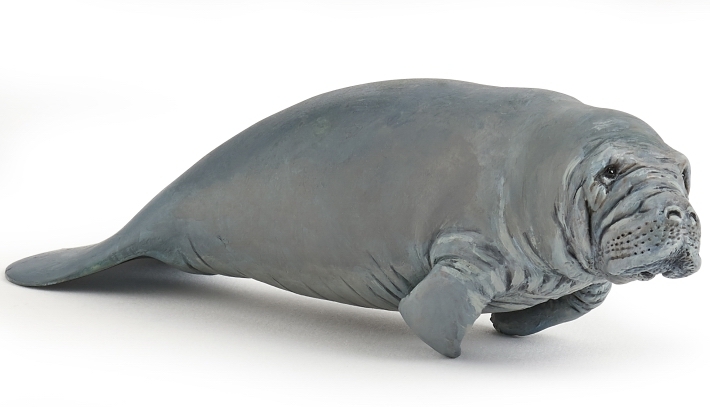 This Papo Manatee is one of the top quality products from Papo. All these are dream models for every young person who can be enthused by their imagination. A Manatee is such a beautiful marine mammal, apparently their closest relative is the elephant,its sad to think that they are on the Red List of Threatened Species because manatees are considered vulnerable or endangered and facing a high risk of extinction, this must not happen! This Papo model really captures their look and personalities.